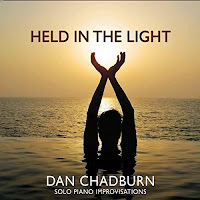 Held in the Light (subtitled Solo Piano Improvisations) is the seventh solo piano album by pianist and composer, Dan Chadburn, which was recorded at Piano Haven Studios in Sedona, Arizona. A native of Oregon, Dan began studying piano at the age of nine and later earned a Bachelor of Music in Piano Performance degree at Pacific Lutheran University. Later residing in London for a time to study electroacoustic composition, he has since become well-versed in both classical and modern musical traditions. 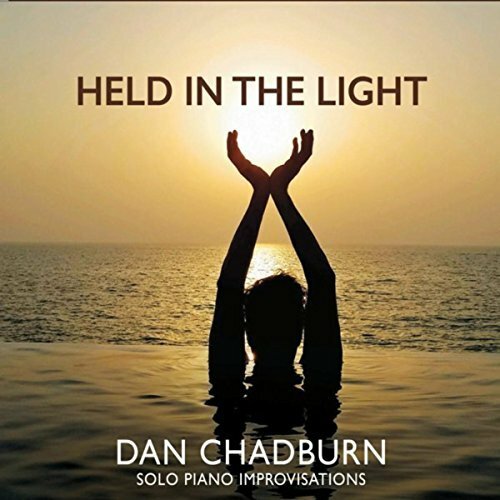 Dedicated to his father and mother, Held in the Light features thirteen inspirational instrumentals, of which includes ten improvised solo piano renditions of his parents’ favorite traditional hymns and three original improvisations of his own. Aptly introducing the album is “Breathe on Me, Breath of God”, an English Christian hymn dating to the late 1800’s, which was written by a Church of England vicar by the name of Edwin Hatch. A caressingly warm and radiant composition with a fitting song title to match, its melody seemingly conveys the essence of waking up to the blessings of a beautiful new day. Many listeners will instantly recognize the opening notes of “Be Thou My Vision”, which is a traditional hymn from Ireland. One of my favorite renditions herein, this gently lilting composition is frequently sung in both Old Irish and its later English translation. Also included is the famously beloved, “Amazing Grace”, one of the most popularly rendered hymnal classics of all time. Lending a beautifully improvisational twist to this song, Dan plays the main melody in the middle registers before subtly shifting into the higher registers and back again throughout. Although an instrumental rendition, I could easily imagine the song’s comforting lyrics singing along in my mind while listening. Dan also puts a lovely spin on “Wondrous Love” (otherwise known as “What Wonderful Love Is This”), which is a widely-known Christian folk hymn with a melody derived from a popular English ballad. Among my favorite compositions on the album is one of three originals called “Breath of Life”, for which Dan also made an accompanying video of him playing the piece. Outwardly contemplative while emitting a subtle sparkle throughout, the piece effectively brings-to-mind the glowing dawn of an early-morning sunrise. This review was originally published on Journeyscapes Radio on 10/21/17. Blackmore’s Night is a British/American duo comprised of Ritchie Blackmore (founding member of the hard rock band Deep Purple) and his wife, Candice Night. Having recorded ten studio albums since 1997, To the Moon and Back compiles some of their finest work over the past 20 years onto a double album of 26 tracks, which totals nearly two hours of wonderful music. Described as a kind of renaissance folk-rock, the duo was initially inspired by artists such as Enya and Mike Oldfield, having founded Blackmore’s Night with a goal in mind of creating a type of fantasy-themed music that blended both ancient and modern elements. Rightfully heralded as one of the greatest guitar players of all time, Ritchie plays a variety of guitars (both acoustic and electric) as well as guitar-playing styles throughout. The album also incorporates classical strings, a chanter, hurdy-gurdy (a stringed folk instrument), keyboards and percussion – all topped-off by Candice’s lovely vocals, which possess a beautifully feminine tone that is gentle yet expressive. With compositions ranging from festive folk rock to enchanting ethereal ballads, subtle comparisons in both essence and style may be variably drawn to Loreena McKennitt, Mediaeval Baebes and Mike Oldfield. 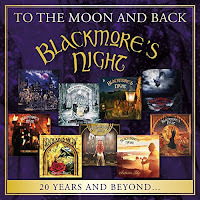 Some of the album’s highlights include “Shadow of the Moon”, which opens disc one with a pristine arrangement of guitars, percussion and various instruments, as it moves at a moderate pace. Seemingly set inside the castle of an old East European town somewhere, Candice’s poetically lyrical melody effectively brings-to-mind that of an enchantress singing and dancing by the moonlight. Lively and whimsical, “Renaissance Faire” offers a fanciful escape, in which dancing couples dressed in traditional Renaissance garb enjoy outdoor festivities, food and drink. The fiery and focused “Spanish Nights” showcases passionate flamenco guitar paired with thundering percussion. Further complimenting its beautifully impressive and intricate guitar-work is Candice’s bewitching singing style, which pleasantly reminds me of Stevie Nicks. One of my favorite pieces on this set is “The Circle”, which seemingly evokes images of the ancient British Isles complete with ancient rituals, fire dances and robed druids at Stonehenge. Symphonic orchestration and a chorus of backing vocals lend to its theatrical sound, which are carried to the end by an enthralling electric guitar solo. The second disc includes a cover of Mike Oldfield’s “Moonlight Shadow” in the style of a Celtic folk ballad and features a lovely flute interlude. Another favorite is “Somewhere Over the Sea”, a most enchanting number with a nocturnal, winter theme. Haloed by ethereal vocals throughout, the piece’s electric guitar part recalls that of Mike Oldfield’s Celtic-inspired Voyager album. Finally, “Durch den Wald zum Bach Haus” and “Nur eine Minute” are two lovely instrumentals in a classical renaissance style. This review was originally published on Journeyscapes Radio on 10/19/17. 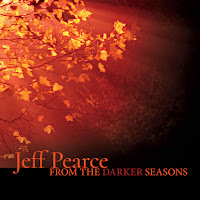 From the Darker Seasons continues in the signature ethereal-ambient, electric guitar style of music that Jeff Pearce triumphantly re-embraced in 2014 with his album With Evening Above, which was subsequently followed up by his 2016 album Follow the River the Home. The last album in this style that Jeff recorded before taking a hiatus for over a decade was his landmark 2002 release, Bleed, which preceded some lovely albums recorded on Chapman Stick followed by one piano album. 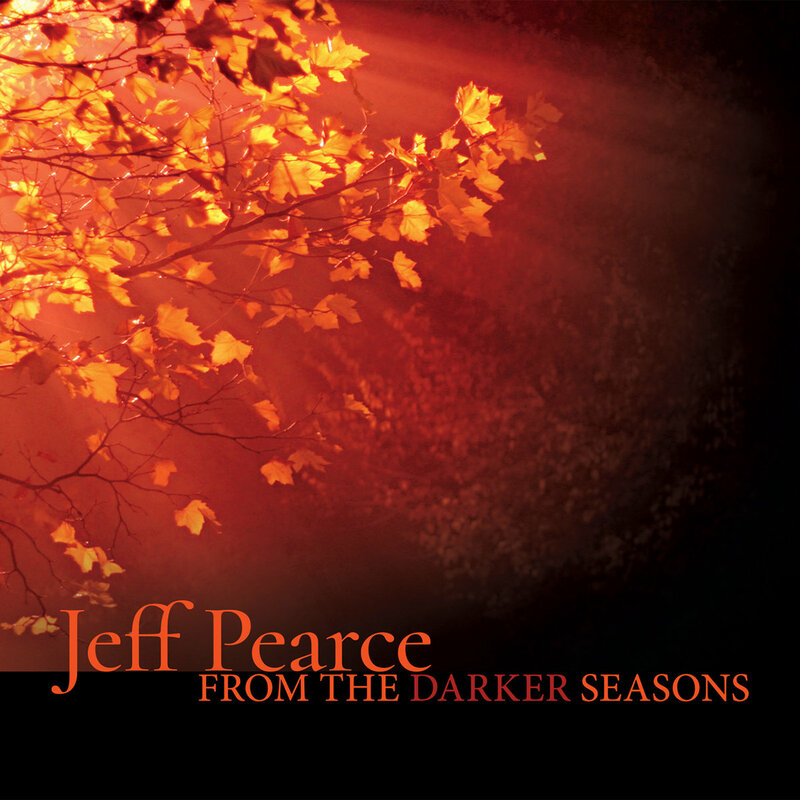 As the album’s title and captivating artwork suggest, the eight compositions spanning nearly an hour that make up From the Darker Seasons was inspired by autumn and winter, which Jeff states are his favorite times of the year (and mine too!). As with his previous two ambient guitar recordings, as well as those of his from the 1990’s and early 2000’s (of which this album was similarly created in the image), From the Darker Seasons mostly exudes a nocturnal essence comprised of drifting ambient melodies and enveloping atmospheres, which possess melancholic underpinnings. “A Walk Through the Leaves” opens the album with a haze of billowing chords comprised of a gentle melody set against a backdrop of encircling, layered guitar loops. As if drifting along in slow motion, the piece effectively illustrates that of autumnal scenery at dusk or dawn as changing leaves lightly flutter about in the cool breeze. This mood continues with “Sun on Frost”, which seemingly guides us into a deeper state of wistful contemplation. Slipping into a more spacey mode is “Constellations”, a beautifully magical composition defined by suspended layers of guitar notes that float and weave about like gossamer streams of color and starlight. Equally gorgeous, “The River in Late Autumn” bears some resemblance to both the title tracks from Jeff’s albums Follow the River Home and With Evening Above. Moving at a languid pace, its somewhat forlorn melody is softly sustained in the lower registers like that of a gently flowing river, as the sparsely-placed higher notes seemingly mimic that of moonlight reflecting upon the water. The ensuing “Downdrift” could be likened to a sequel of sorts to “Downstream” from Jeff’s previous release. Employing similarly processed effects, the piece seemingly embodies the very essence of a cold wind blowing, with its swirling sound patterns of icy metallic textures. “Midnight Snow” follows next with gurgling timbres and hazy distortion gently bouncing outwards, effectively bringing-to-mind that of trekking across a frozen landscape beneath the dim light of a shrouded moon. At 17:45 minutes, “A Long Winter’s Sleep” is a deeply atmospheric, ambient-space piece in the long-form style of Steve Roach, although still unmistakably Jeff. A beautifully dreamlike piece that evokes the darkest phase of winter, I’m able to imagine the mysterious aurora borealis shimmering above a vast northern landscape, as its tonal colors encircle and phase in-and-out of the listening space. Easily mistakable for synthesizers in its entirety, Jeff is simply unparalleled in his ability to craft such dimensionally-layered soundscapes using just electric guitar with processed effects. Concluding the album is “Cold Comfort”, a subtly melodic piece that conveys a sense of solitary serenity; its title aptly illustrating Jeff’s ability to create pieces that somehow feel paradoxically emotive and evasive. This review was originally published on Journeyscapes Radio on 10/12/17. Under A Second Moon is the sixth album by multi-instrumentalist Holland Phillips and follow-up to his 2016 album, Circles of Eight. Comprised of eleven compositions spanning forty-six minutes, Holland’s latest album follows the new age / contemporary musical style of his previous releases, drawing heavily upon a distinguishable and well-worn 1980’s synthesized sound. In fact, notable comparisons could be drawn to some of the earliest works by both Yanni and David Arkenstone, as well as to a lesser degree that of Bill Douglas and Richard Souther. Throughout the album Holland plays piano, synthesizer and guitar while Paul Christensen lends saxophone to a couple of pieces. 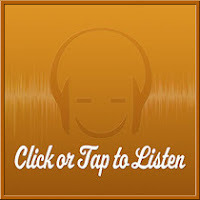 Additionally, subtle programmed beats underscore many of the arrangements. The opening piece, “Out of the Frying Pan”, is enjoyably fey-like with its sampled wind instrument and metallic keyboard notes, as it moves at a rhythmic pace sans a definable drumbeat. Ostensibly retrospective in its essence, this piece along with others on the album seemingly convey a notion of viewing framed photos or snapshots of different scenes in time, as opposed to that of being present in the captured moments to experience them in real-time. One such example is the aptly named, “A Moment in Time”, a slightly jazz-infused number that perfectly illustrates the album’s cover painting of moonlight and landscape. 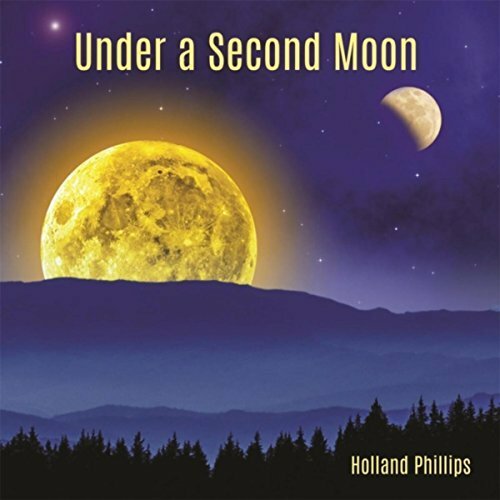 Many of the compositions skew heavily sentimental, such as noted on the title piece, “Under a Second Moon”, an instrumental ballad that's accompanied by saxophone and a tender keyboard arrangement. Comparatively, I found myself most appreciating the more whimsical and fantasy-like moments on the album, such as that exemplified on “Long Way Home”, a dynamic electronic piece with a cinematic flair and easily my favorite of the lot. In my view, the 80’s-era musical influences works best on pieces such as this, with its retro guitar riffs and vintage drum programming that are further complimented by some Pat Metheny-esque vocal lines.